The following 16 characters come with Street Fighter V by default, including 4 brand new characters that have never been seen before(*). Links to details about each character can be found below this article. The following 6 characters have been announced as DLC (downloadable content). Some of them have already been released and some are still on the way. Capcom is releasing them spread out throughout 2016. Links to details about each character can be found below this article. So far only Akuma has been confirmed (update, see below), but they did drop the bomb that the other 5 characters would be “completely new”! Street Fighter V presents a few issues with conversion into the Storyteller System, which I will touch upon here. It is sad to say but most other Street Fighter video games have simply rehashed every character as you remember them, with only a few minor tweaks. This has made it very easy to offer one version of that character for Storytelling purposes, and let the Storyteller tweak it however they wish for timeline. Street Fighter V represents a big departure from that formula as they have begun to finally redesign characters, make them look older, introduce significant changes to movelist, and generally advance the plot. This is good news as a fan of the franchise, but presents some challenges as a writer of supplements. Charlie Nash is back from the dead and has been redesigned both in terms of moves and appearance. I have to ask myself if I will just add the new moves, or present another version of the character with new moves as part of some background trait he gained by being brought back to life. I also have to decide how to present him visually as he has a serious Frankenstein vibe now with huge stitches running across his body, connecting pieces that don’t all look like they came from the same person. Much of these decisions hinge on the release of Cinematic Story Mode, which will hopefully shed more light on whether this was a retcon or a change that actually happened in the universe. So far it looks like the Illuminati is responsible for bringing Nash back to fight Shadoloo, which is nice to see them finally touching on the SFIII story line again rather than avoiding it, and makes sense with Urien coming to the cast in 2016. R. Mika has significantly altered moves, many of which revolve around using a tag team partner who comes in to assist. 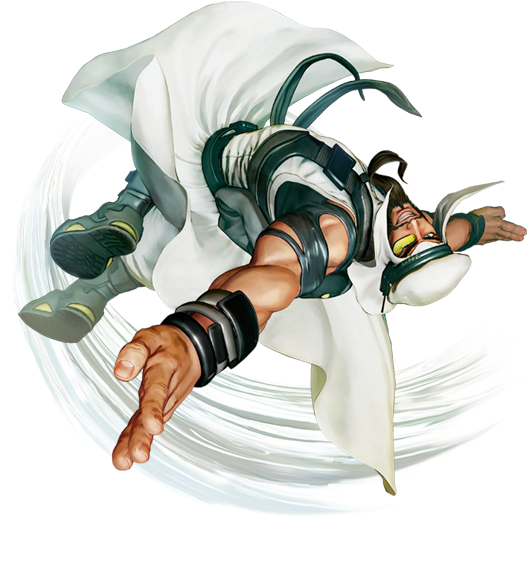 Birdie has significantly altered moves, many of which revolve around long range grabs using his chains. Zangief actually lost his Green Hand/Banishing Flat, which makes this version of him even more like the Storyteller version in that regard, but he gained the ability to perform a Spinning Piledriver in the air, and a few other nutty things like armored V-Skills. Everyone else has a few extra moves or tweaks here or there but nothing too major. Little things like Dhalsim has arcing fireballs now and Ken has some peculiar new trajectories on his Hurricane Kicks. V-Skill, V-Trigger, V-Reversal. There is a new meter which allows you to perform these unique and powerful moves. This presents the same problems as Super Combos and Ultra Combos, and I will probably handle them in the same way I have handled Supers and Ultras so far: Ignore them like the original sourcebooks did, except for the few that significantly add to the character and they would not be the same without. (i.e. 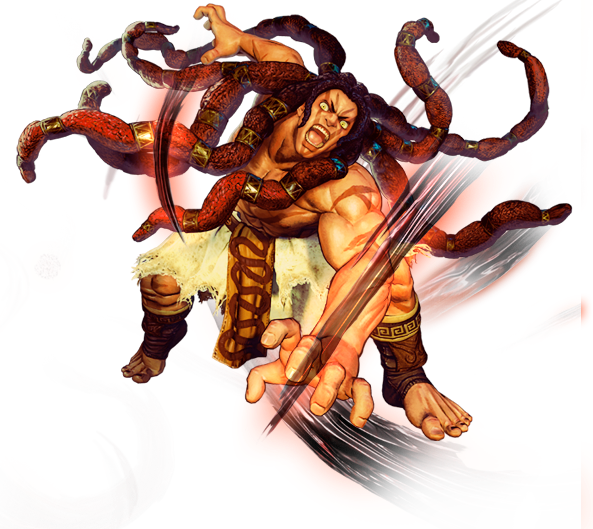 Akuma’s Raging Demon is a big part of his story). Some of these are actually moves the characters always had, for example Cammy’s Spinning Knuckle is now a V-Skill, and Karin can only do Rekka Ken in V-Trigger mode. 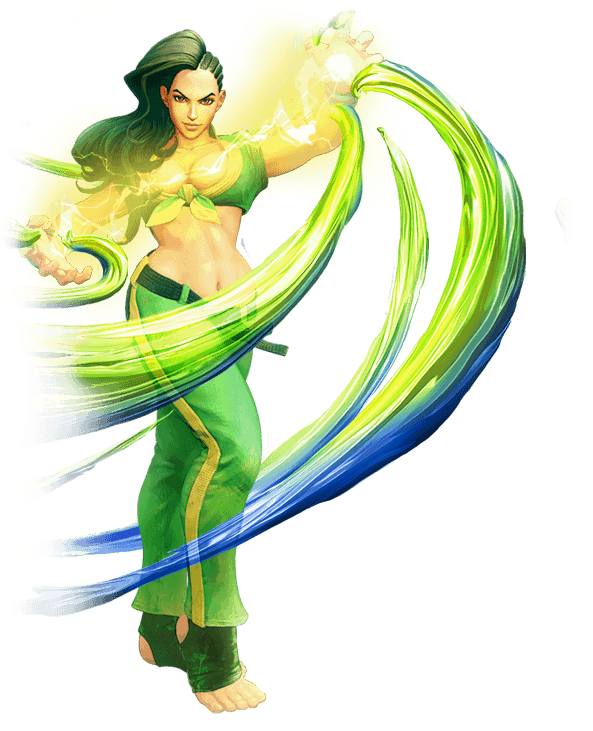 Kolin: She has ice powers, which may change how I have to implement Gill and ice in general going forward. Previously I had ruled that Gill could use fire and ice because the ice formed due to the absence of heat, similarly to Earth elementals using Pit (absence of earth), air elementals using Vacuum (absence of air) and water elementals using Drain (absence of water). That doesn’t really work anymore if she has ice powers but no fire powers. Ed: Ed showing up shines a big spotlight on the crap decision to make Bison’s powers related to his fighting style and not a background. Now there’s Ed who also uses Psycho Power but has a Boxing style. Oy vey! Menat: Menat makes me want to rethink how I do magical girls (her and rose). 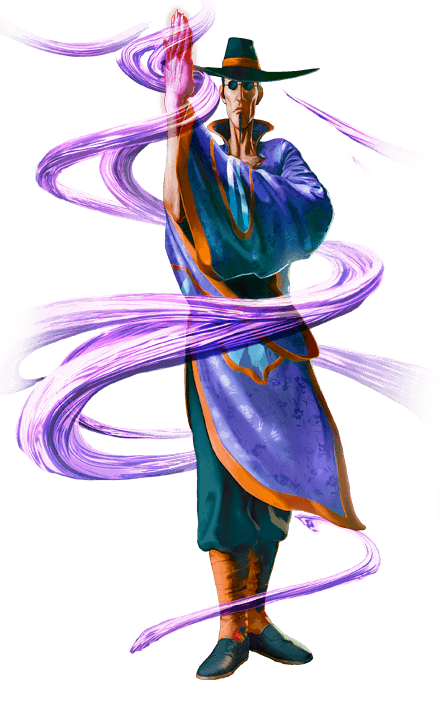 I may create a magic style that utilizes a talisman (crystal ball, scarf). A free download said to be releasing in June 2016, Cinematic Story Mode will be a robust single player mode that deals heavily with the canon story line. This is a godsend, and sure beats the heck out of trying to piece together canon from Japanese sources as I have done in the past. The game did ship with a very basic and simple story mode for each character. This leaves much to be desired, but at least tells you some details. If you do not have the game yet, these can be found on YouTube FYI, along with character guides that outline each characters moves. Other possibly canon sources include the following web series and comic book. 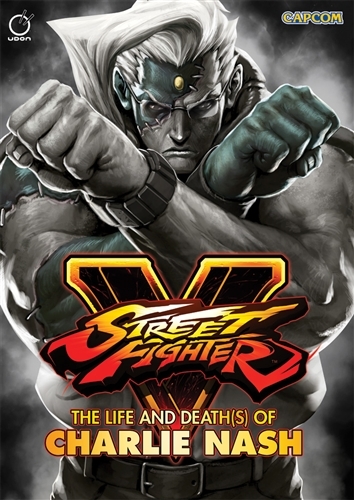 Normally content such as this is just licensed out and not canon, but I believe for these 2 projects the writers were actually privy to SF canon directly from Capcom before the story line was released to the general public, so elements of these, or the entire body of work, may be completely canon.